“A Ghost Story” (2017). Cast: Casey Affleck, Rooney Mara, Sonia Acevedo, Carlos Bermudez, Yasmina Gutierrez, Will Oldham, Liz Cardenas Franke, Kenneisha Thompson, Rob Zabrecky, Sara Tomerlin, Margot Tomerlin, Sylvie Tomerlin, Savanna Walsh. Director: David Lowery. Screenplay: David Lowery. Web site. Trailer. As a young composer (Casey Affleck) and his significant other (Rooney Mara) debate the future of their living arrangements, the songwriter is tragically killed in a car accident just steps from his home driveway. His stunned, grieving partner is left even more uncertain about what now lies ahead for her, but she tries to carry on despite the unexpected circumstances. However, as bewildered as she is, her deceased counterpart is even more baffled, unsure how to proceed now that he’s on the other side of life. With no clear idea what to do, the now-sheet-covered spirit leaves the morgue where he was pronounced dead and returns to the residence he shared with his other half, a place he obviously loved, in part for the sense of history he felt was associated with it. Upon arrival at “home,” the wandering spirit watches what unfolds there in his absence from corporeal existence. He witnesses his beloved struggle to get her life together, an effort that proves difficult given the “ghosts” that figuratively haunt her and keep her from moving forward. In fact, it becomes so difficult that she eventually decides to move out, seeing it as the only way to make any personal progress. This gesture, however, leaves her dearly departed alone and confused, not sure what to do next. Before long, the house has new residents, a single mother (Sonia Acevedo) and her two children (Carlos Bermudez, Yasmina Gutierrez), a development that troubles its apparitional occupant. He feels possessive of what he considers his space and resents sharing it with strangers. In fact, in pure ghostly fashion, he switches to haunting mode and quickly drives them from the house. However, even though his efforts force them from the premises, it doesn’t keep others from moving in. The resident spirit discovers this when a new set of tenants arrives and throws a big party, a celebration with more guests than the house phantom can possibly scare off. 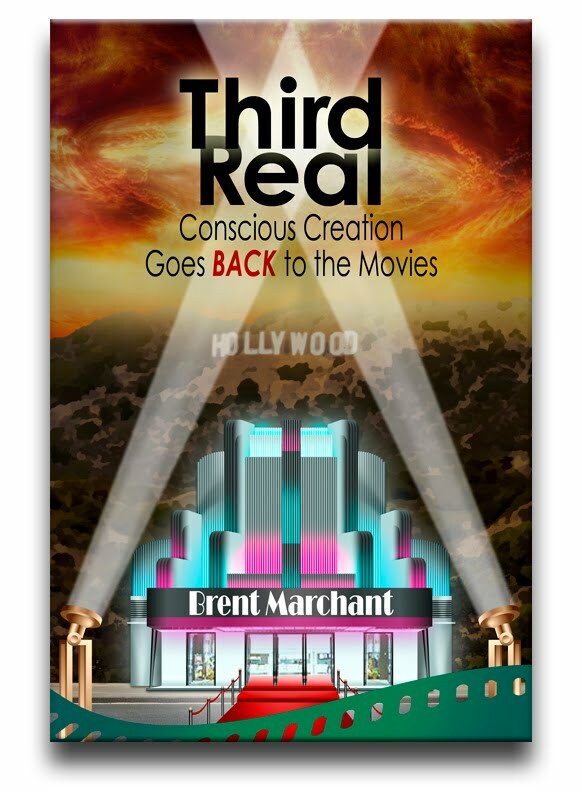 As the disembodied spirit comes to discover, the key consideration in this is the matter of choice, one of the principal concepts associated with the conscious creation process, the means by which we manifest the reality we experience through the power of our thoughts, beliefs and intents. He learns that choice is not something limited to the living; it’s just as available to the deceased, and all the departed need do is recognize and make use of it. In fact, given the different rules under which the afterlife operates, it would seem to be in the protagonist’s best interests to avail himself of this capability, since more options are available (and easier to bring into existence) here. 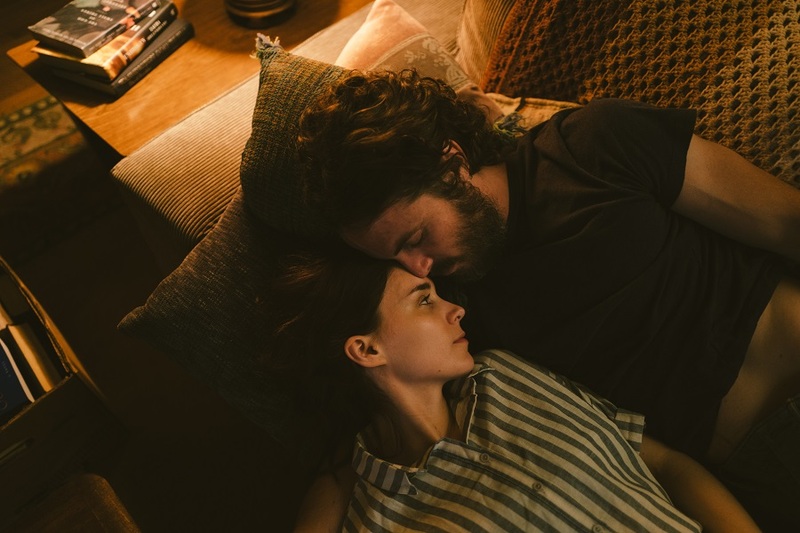 A songwriter (Casey Affleck, right) and his significant other (Rooney Mara, left) contemplate the future of their living arrangements – and eventually of existence – in the new mystical drama, “A Ghost Story.” Photo by Bret Curry, courtesy of A24. So why does it take so long for our ghost to figure this out? As in any conscious creation scenario, it all comes down to beliefs. If he chooses to manifest a particular outcome, that’s what will follow. But first he must recognize that he has the power of choice available to him and formulate beliefs in line with that notion. As for what he does with that power, that depends on the particular beliefs he chooses to embrace. If he’s convinced that his reality is imbued with qualities like those he experienced in physical existence, then his afterlife experience will follow suit, unfolding in accordance with the beliefs that govern its manifestation despite his presence in a different dimension from whence he came. But, if he were to seek something new, he could bring that about, too, simply by changing his beliefs. And, as noted earlier, since these manifestation efforts appear to come into being more easily in this reality compared to physical existence, bringing about such change through a deliberate exercise of his power of choice should be a piece of cake. Considering the limitations of physical reality, many of us would probably be envious of the removal of creative restrictions that existence in the afterlife seems to afford. Knowing that, then, one might wonder why the protagonist chooses such a “conventional” path to launch his afterlife experience. But, given that he went through a seemingly unexpected demise, his attachment to his corporeal residence and his uncertainty about what to do after his passing, he falls back on his prevailing beliefs, returning to the place where he believes he belongs, despite having an infinite range of other possibilities. This is significant from a conscious creation standpoint, because it effectively illustrates how stubbornly beliefs can persist, in this case even beyond the boundaries of one reality and into the next. Those who wonder why it’s sometimes difficult to change belief tracks can look to this as evidence of how strongly they may hold on, staunchly resisting change despite our power of choice and the range of options open to us. As our afterlife explorer moves toward embracing his power of choice, he begins to see what’s behind the beliefs to which he’s so strongly been adhering. He comes to understand why he’s so preoccupied with staying in place, despite moving into a new reality in which to experience it. This provides him with an opportunity to assess whether it’s what he still wants – and makes him aware that he has the power of choice to select something new if he so desires. This is a lesson not only for the departed; it’s a message for the living, too, especially for those of us who feel we don’t have any say over our circumstances. We do have the ability to choose otherwise as long as we’re willing to recognize, accept and exercise it. And, as should be apparent from the nature of this story, if we hope to pursue a different course in our physical existence, we’d be wise to do so before it’s too late. 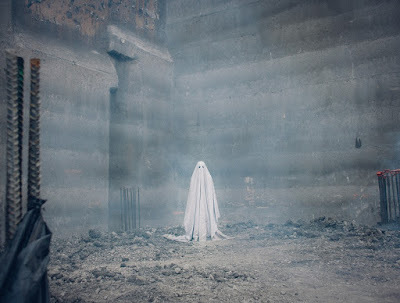 A lost spirit seeks to find its way through the afterlife in director David Lowery’s new mystical drama, “A Ghost Story.” Photo by Bret Curry, courtesy of A24. 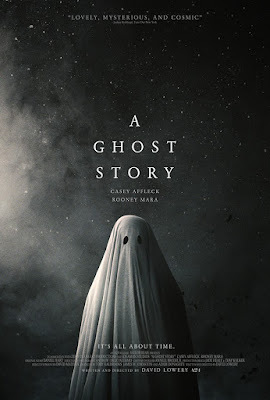 I struggled a bit in evaluating “A Ghost Story.” It’s the kind of movie that, if you’re well-versed in philosophy, spirituality and metaphysics, you’ll probably love it. 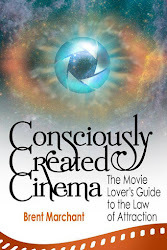 In addition to its exploration of the question of choice, the film’s presentation of such concepts as simultaneous time, detachment from outcomes (and, conversely, the disappointment of attachment), free will, spontaneous manifestation, eternal recurrence, the materialization of beliefs and many others is deftly handled, effectively shown rather than told in a manner that’s almost poetic thanks to its atmospheric production design, minimalist dialogue, inventive cinematography, skillful editing and ethereal soundtrack. 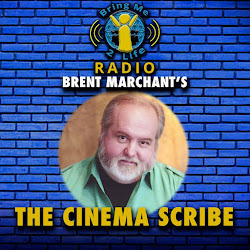 There are also cinematic and narrative homages to a number of other films, such as “What Dreams May Come” (1998), “The Tree of Life” (2011) and “Always” (1989), and filmmakers, including the likes of Stanley Kubrick and Terrence Malick. However, if you’re unfamiliar with these concepts, you’ll likely come away from this one with a decidedly puzzled expression. Now, while it’s certainly laudable that the director has aspired to make a picture that appeals to an intellectual and enlightened audience, the finished product could also be seen as an exercise in viewer frustration, one that capably preaches to the choir but fails to make new converts. What’s more, despite the film’s aforementioned strengths, it also suffers from a few weaknesses, such as several grossly overlong sequences (a fast forward remote would come in handy at times) and a pair of leads whose allegedly “subtle,” “nuanced” performances are euphemisms for bland portrayals that are often about as appealing as a bowl of cold porridge. So, with that said, I give “A Ghost Story” a highly conditional, much qualified recommendation. If you’re well read on the subject, enjoy this one and relish everything it has to offer. On the other hand, if you’re not up to snuff on the subject matter, give this one a pass – or pick up a good philosophy book and start reading. What we make of our afterlife, it would seem, is just as important as what we make of our life. But, to do that, we should strive to become aware of how those realities operate and the role we play in their functioning, for that will dictate the experiences we have. In doing so, we should choose wisely, especially when it comes to the beliefs we embrace, for they will dictate the outcomes that unfold – both here and in the hereafter. 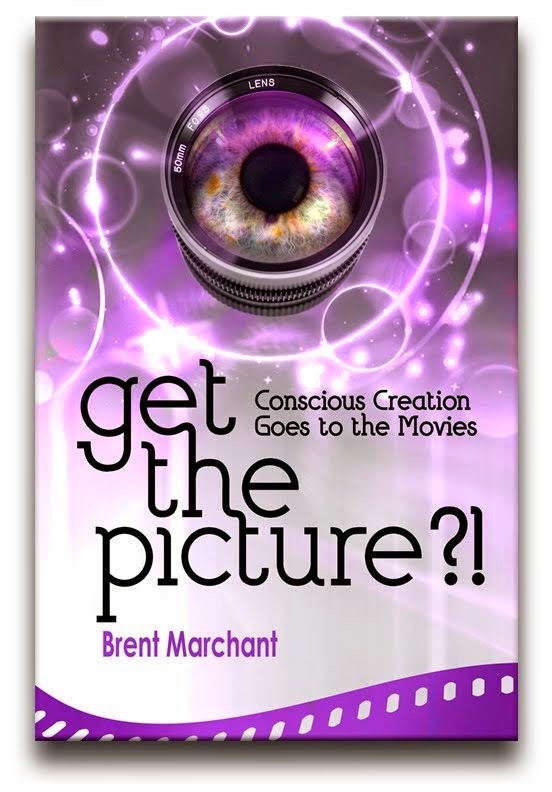 Love this Brent, growing up I played with dead people and thought every one saw them, they are simple soul energies that have not gone home for some reason or anther, and if we allow our selves to channel in, we can connect with them and find out why they are still here. Fascinating topic one I do a lot of shows on. We need to understand these bodies are vessels to experience life in a connective way, but we are energy DNA moving from one life to another and learning.